9095 Golf Course Drive, Disputanta, VA 23842 (#1839218) :: Abbitt Realty Co. This fabulous property has so very much to offer. 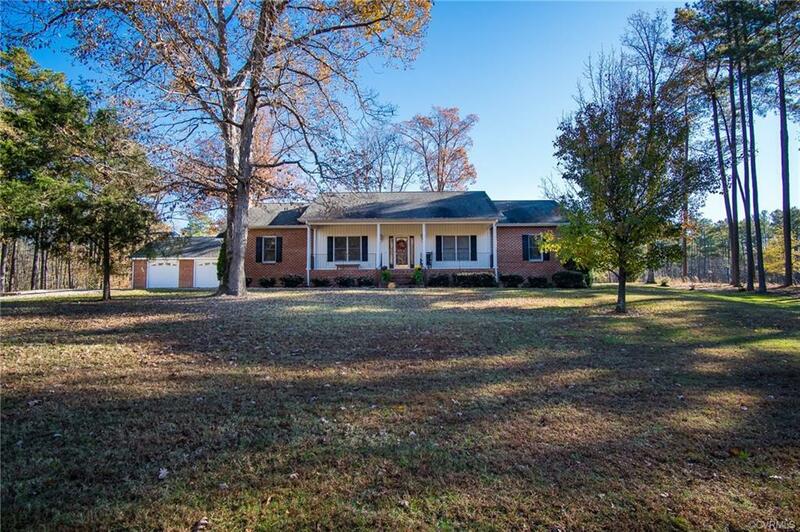 The 3 bedroom, 2.5 bath Brick rancher has been meticulously maintained with some fantastic upgrades. All living space floors are perfectly maintained Oak hardwood. 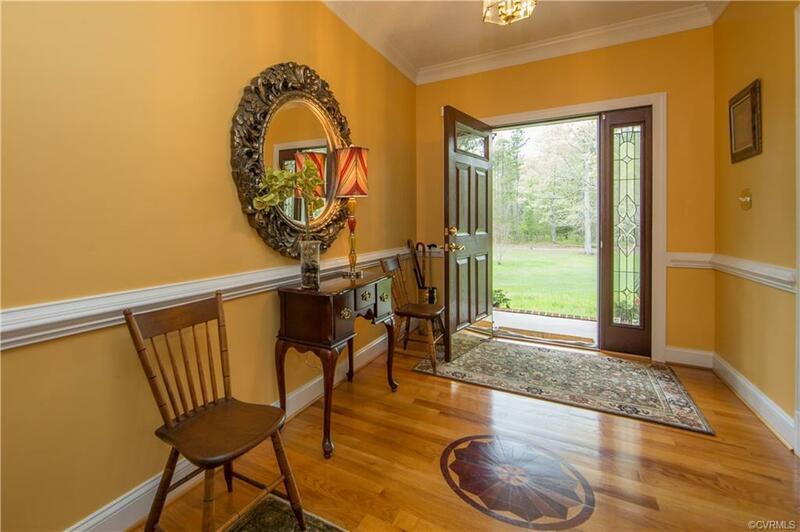 When you enter the foyer, the hardwood floors, chair rail and 2 member crown moulding set the tone for what you're about to see. The Kitchen island has a drop in range, double wall ovens, custom Oak cabinets, corian counters and breakfast bar and tile backsplash. 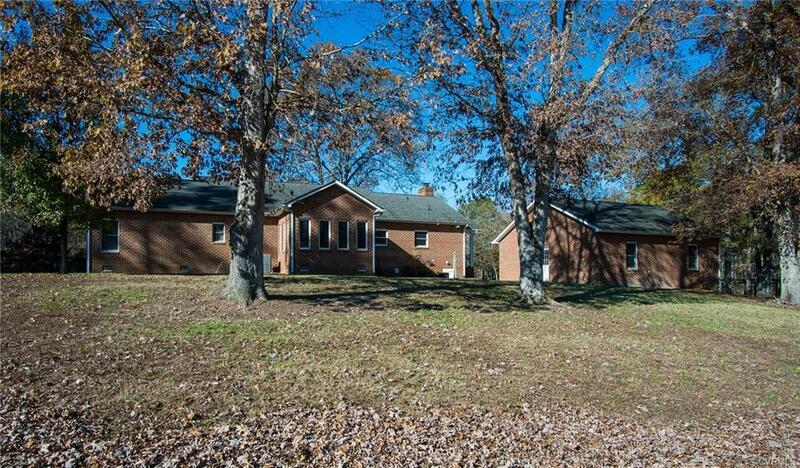 The spacious Family room has a vaulted pine ceiling and a brick fireplace. The Master bath has been wonderfully renovated including a heated, porcelain plank tile floor, an oversized tile shower with a glass door, double granite vanities and a cedar lined WIC. This 21+ acre lot boasts a 30x30 brick, detached, finished garage with attic storage and a floor drain, a 25x60 RV garage with a concrete floor, 50 amp hookup and water that will shelter a 45 foot RV and a tractor. 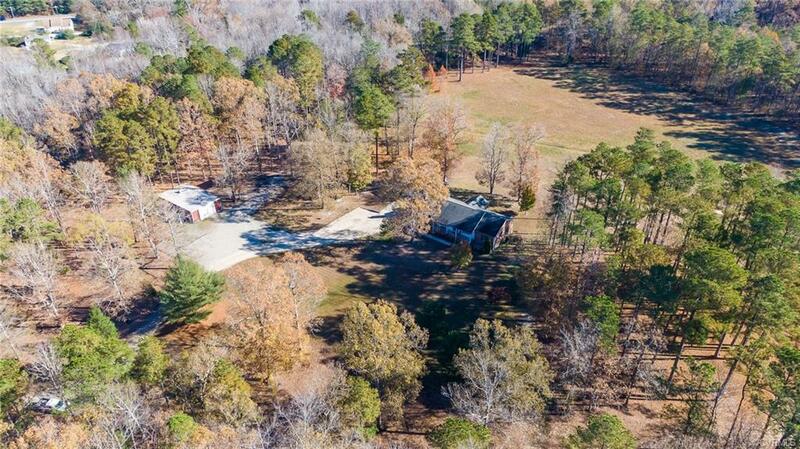 There is also a 25x30 Butler building with a separate 100 amp service, concrete floor and 30 amp RV hookup. There is a huge concrete patio and parking area at the detached garage and this lot fronts the 13th fairway at Prince George golf course.